It’s not often that you come across a female Dealer Principal, but when you do, you can be sure they are of the highest level of professionalism and damn good at their job. Susan is one the the few female automotive Dealer Principals in Australia. 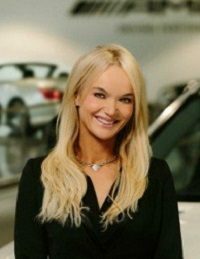 After a successful career with both BMW and Porsche she then joined Mercedes-Benz Toorak at their blue chip location. Susan’s tips of the trade? “I recommend the tried and true old fashioned methods as they still work today. Build a database, a referral base, send out Christmas cards. Building relationships with your customers pays off. Work hard at these relationships and turn your customers into advocates and friends. I think to succeed in automotive sales you also need to be self-motivated and able to set your own goals and challenges to get better at what you do. Susan is now the General Manager of Mercedes Melbourne located near the airport at Tullamarine and speaks passionately about womens roles in business, sales in the motor industry and breaking the glass ceiling.